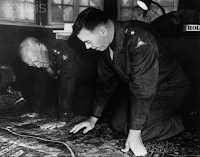 Japan’s Constitution was written after WWII in such a way as to comfort the victorious allies that Japan would no longer be an international military power. The Japanese Self-Defense Forces (SDF) have been slowly evolving into a force that can address threats abroad as well as threats to their Homeland. Prime Minister Shinzo Abe has taken steps to broaden the rules of engagement for the SDF. 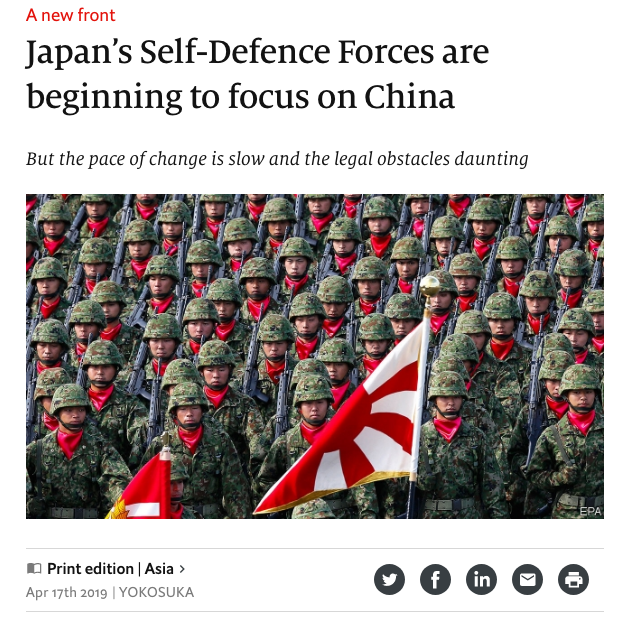 The Economist of April 17, 2019 had an article: “A new front: Japan’s Self-Defence Forces are beginning to focus on China”. 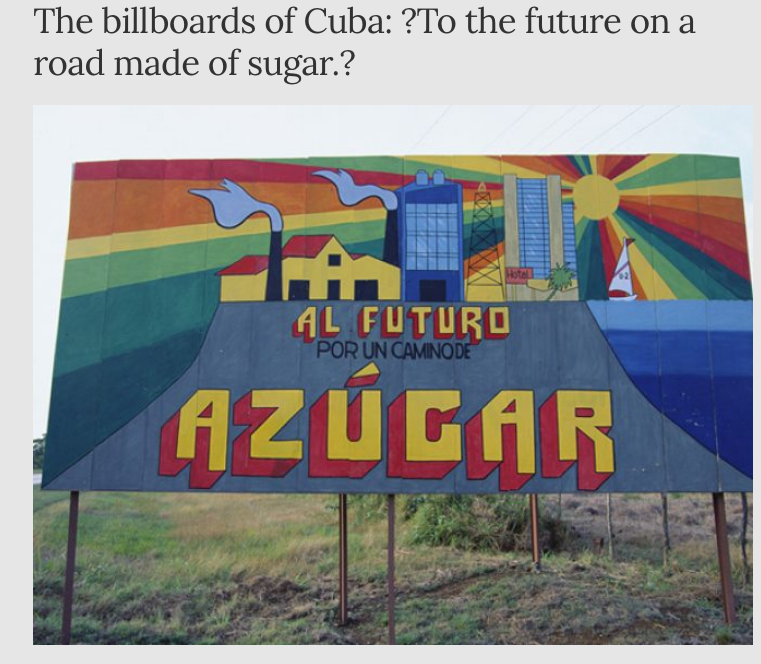 (see: https://econ.st/2Gvezbs which is also a photo source). Among the ‘psyacts’ undertaken by the SDF is country’s largest warship, the Izumo (see: http://bit.ly/2KQws8Q, another photo source). The defcyclopedia.com article covering the vessel showed that the Chinese indeed were paying attention. “On 25 March 2015, the Japanese Maritime Self-Defense Force (JMSDF) commissioned the JS Izumo (DDH-183), lead ship of her class and the largest surface combatant of the JMSDF. Designated as a helicopter destroyer, the Izumo-class was built as an anti-submarine warfare (ASW) platform. With this new ship reinforcing the Japanese arsenal, the Chinese quickly considered the ship as a “war potential“, claiming that she was an “aircraft carrier in disguise“. The ship indeed bears a strong resemblance to an aircraft carrier, just like the previous Hyūga-class. 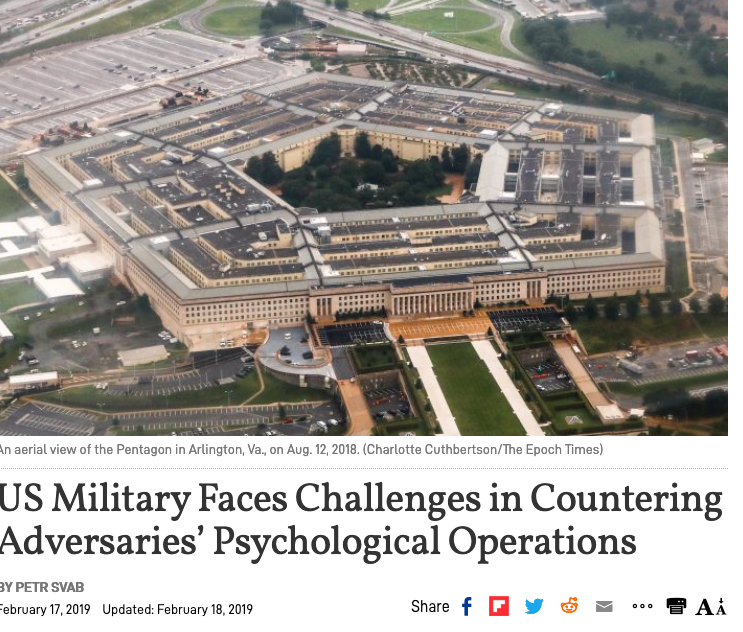 Other steps include the capabilities of their F-35 and dramatic increases in cyber warriors from 150 to 500 over the next five years according to the Economist. Of course, the article also points out that according to one Western diplomat “Japan has not fired a shot in anger in seven decades”. 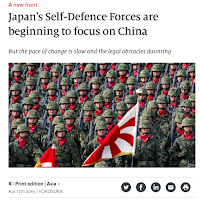 From a PSYOP perspective, it’s pretty clear that the Chinese are sitting up and taking notice whether or not Japan’s newly invigorated SDF ever fires a shot or takes a casualty. After all, isn’t that why PSYOP is all about? OK, I’ve been off line for a while, but in my defense, I have been pretty busy. My presentation on Cyber Influence at the RSA Conference (rsaconference.com) was well attended. Given that most of the attendees were cyber geeks, I was a bit surprised when two bearded gentlemen approached me afterwards and told me they were in the Air Force and they enjoyed my talk. Sure, Air Force, like I’m in the Bolshoi Ballet. After a week of catching up I was off for a 2-week exercise at a DOD School that trains special staff officers. For the past decade I have been pleased to serve in a CPX as the IO SME/J39 on a replicative staff of a MG. The goal of the CPX is to give new staff officers and senior NCOs the experience of working on a General Staff. Where, while they will get private time with the boss, they have to work with and through a staff most of whom out rank them by several grades. The staff, like any other mini-civilization has its own rules. Some of these rules are written somewhere, while others are not – you simply learn them by doing. Far better to learn at the school house then in the midst of a conflict. The exercise replicates a deployment of an Army Brigade Combat Team (BCT), a Navy Carrier Strike Group and a Marine Expeditionary Unit (MEU). The scenario builds from a cascade of news items through mounting tension and problems leading up to a Presidential order to deploy and an ensuing operation to support a friendly government. The exercise is 6 days long. Experience has shown that this type of immersive learning experience is difficult for many students to absorb, so the faculty decided to split into a 3-day planning phase and a 3-day execution phase. Naturally, the prelude to the execution is an Operations Order (OpOrd). The boss receives an OpOrd briefing approaching 100 slides. Key to success for all of us supporting the CDR is that we have to understand that Op Order, who the players are, where they are moving or supposed to move, who are the bad guys, what are the potential problems and obstacles, etc. All of this is a prerequisite to being able to formulate individual function/specialty plans to support it. The students also need to understand that no matter how many stars the military CDR has, they are not the senior executive in country – that is the Ambassador or chargé d'affaires who is the President’s direct representative. The influence operations team needs to recognize how and where to learn about the environment on the ground from a media and communications perspective. Here again, experience appears to be the best teacher. As the MISO/PSYOP advocate and lead disciple I have to also be able to express how all the IO elements reinforce each other and the importance of information synergy versus information fratricide. Students with little or no exposure to MISO/PSYOP often have some very false preconceived notions that are adjusted based on their experience with IO working groups, Joint Planning Groups, Joint Targeting Groups and other aspects of the exercise. Needless to say – understanding the operation is at the core of all this and cannot be taken for granted. Cyber Influence: Is it PSYOP or is it Cyber? While much of it is somewhat ‘old news’, readers may find the Transcript of the Subcommittee on Emerging Threats and Capabilities COMMITTEE ON ARMED SERVICES UNITED STATES SENATE UNITED STATES SPECIAL OPERATIONS COMMAND’S EFFORTS TO TRANSFORM THE FORCE FOR FUTURE SECURITY CHALLENGES (see: http://bit.ly/2GDiSmh) of interest, it’s only 60 pages. 1. The experts quoted are all SOF or former SOF. 2. There is agreement that there needs to be more effective cyberspace influence operations. 3. Privacy protections limit influence operation effectiveness. 1. There is no overall, government wide cyber influence strategy. 2. Cyberspace operations or cyber attacks are like the kinetic actions of the physical world, yet there doesn’t seem to be a non-kinetic or influence targeting balance. 3. 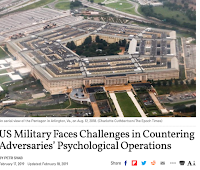 Both PSYOP and offensive cyberspace operations seem to be considered as independent, general short term, and perhaps even tactical level operations rather than longer-term operational level or on-going strategic efforts. 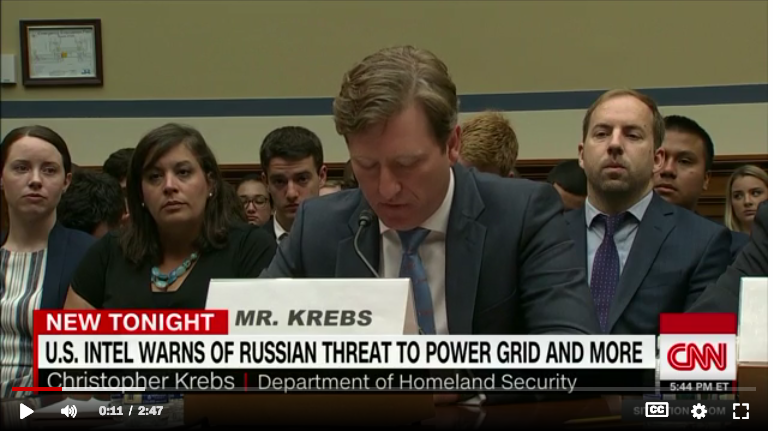 As the new Congress settles in and the partisan climate continues, we should be very concerned that the critical nature of Cyber Influence Operations will continue to be ignored. Some organizations are claiming victory in thwarting alleged Russian efforts to impact the midterm elections. Hard to know if they did or didn’t, but rest assured our enemies are busily at work on their operations to influence our Presidential nomination and election process. As always, reader comments are encouraged. Cyber Influence is clearly a growth industry. New wrinkles seem to be turning up more frequently as the pace of innovation quickens. Two of them that are very interesting to me are “Deepfakes” and what I call “Cyber Media Jamming”. 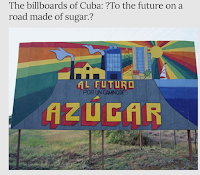 “Memes, images with embedded text, often use humor or evoke an emotion. They are frequently shared among social media users and thus rewarded within Facebook’s algorithm and seen by more users. Deepfakes, videos altered by an artificial intelligence tools to either misrepresent an event that occurred or manufacture an event that never occurred. Altered videos use traditional editing tools to misrepresent an event that occurred. Like a deepfake they seek to alter the facts that voters use when deciding whom to support. False news pages and articles are created and run for either political or financial gain. They can be from foreign or domestic sources and typically post divisive or sensationalist content to sway social media users to believe their content and vote accordingly. 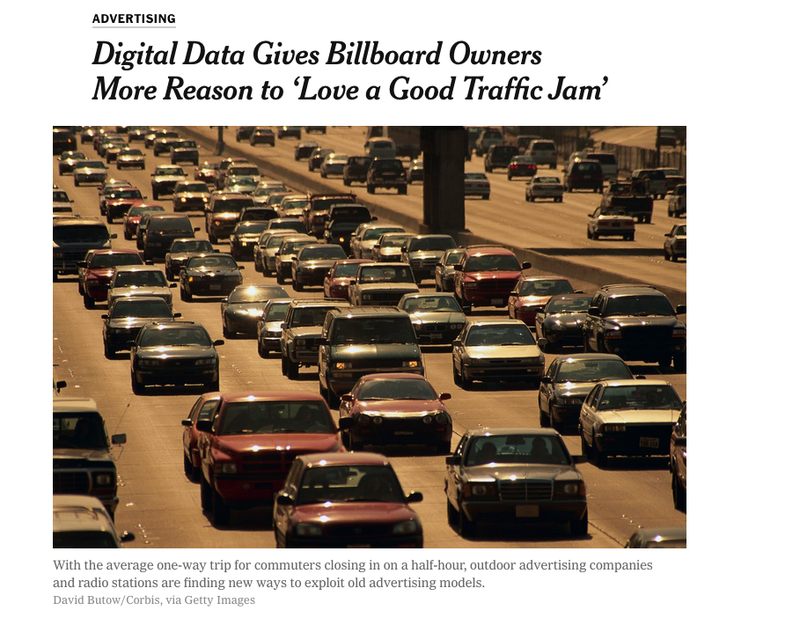 They also increase website traffic, thereby increasing revenues from ad sales. If you’re interested, the article provides guidance on how political campaigns can protect themselves. The article also offers a link to the altered video of CNN’s Jim Acosta as posted by the Washington Post. 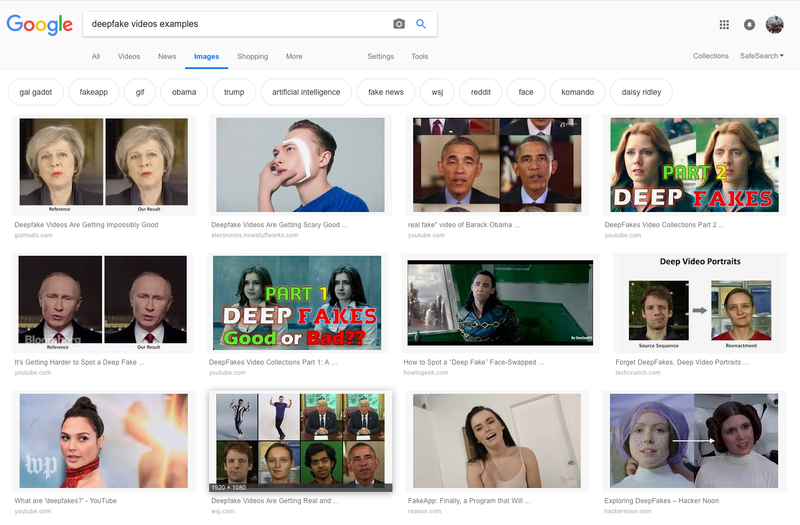 I have posted a screenshot of a quick Google search for deepfake videos below. DOD Joint Publication 3-13-1 defines electromagnetic jamming is the deliberate radiation, reradiation, or reflection of electromagnetic energy for the purpose of preventing or reducing an enemy’s effective use of the electromagnetic spectrum, and with the intent of degrading or neutralizing the enemy’s combat capability (see: https://fas.org/irp/doddir/dod/jp3-13-1.pdf). So far we haven’t seen many of this kind of attack, but clearly we can see the possibilities especially when combining Cyber Media Jamming with kinetic attacks. Jamming of radio and TV signals during a kinetic operation would be especially unnerving to the civilian population of the target country. We are just scratching the surface for possibilities of new wrinkles in Cyber Influence. Stay tuned – if you can. I was deployed as a Public Affairs Officer from 22 to 28 December 2018 to help support the Red Cross Camp Fire Recovery Effort. Christmas was Day #47 of the Disaster. Normally by that time in the disaster most people either went back to their homes or relocated outside the affected area either temporarily or permanently. 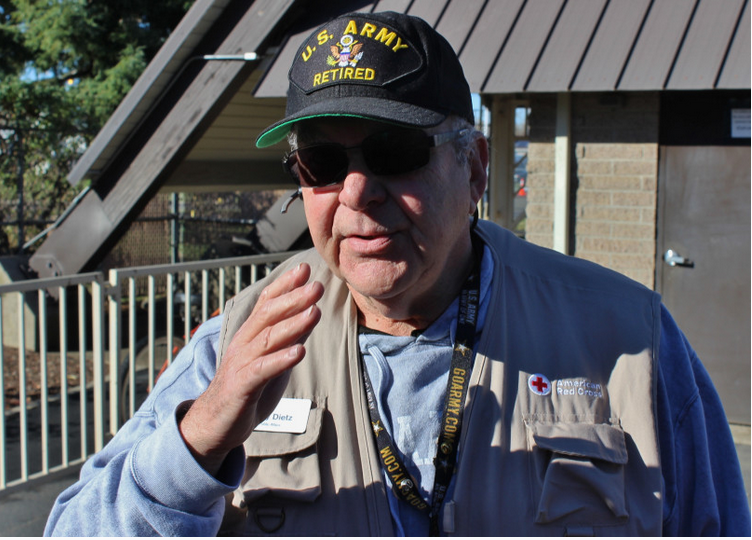 This was not the case here as about 700 people were still at the Red Cross Shelter Campus located at the Silver Dollar Fairgrounds in Chico, CA, a city of slightly less than 100,000 people and about 90 miles north of Sacramento. 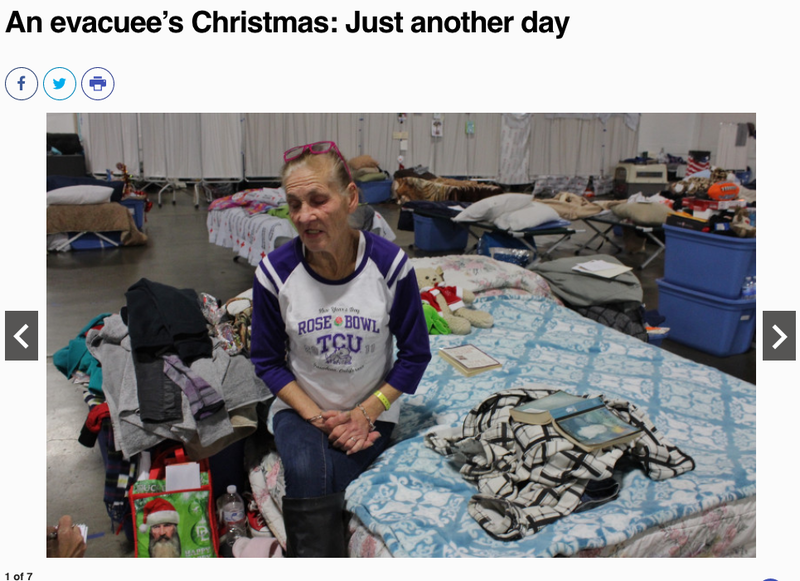 You can read a very good story on Christmas Day at the Shelter at: bit.ly/2VG7har (which is also a photo source). Social Media, as you might expect, was ablaze with action, most of it rumor mongering. While I was stationed at the main reception area at the Fairgrounds, a volunteer came up to me and said “You need to meet with this young woman.” I was introduced to a young woman in her late thirties or early forties. In the olden days we would have said ‘she looked like a hippie chick’. Clearly articulate and concerned she made me an offer I couldn’t refuse. She explained that she felt that the Red Cross was getting a bad rap on Facebook. She knew that because one of her friends was a volunteer at the A. If I let her look around the shelter facility for herself she would use her Social Media outlets to set the record straight. As many of you know, I’m not an impulsive person, in this case I went with my ‘gut’ that this was indeed the right call and got her a “Day Pass” which gave her unfettered access to the campus. Later in the day I found out that she made very good use of that access. In showing her the dining facility an hour or two later, it was quite clear that she knew many of the people who were at the shelter. While I didn’t personally check her postings, the Shelter Site Director told me he was quite favorably impressed with her as a community leader and hoped to enlist her help for other projects such as a Christmas in January party for the children of Paradise. Moral of the story: sometimes you have to put the analytics aside and just do what you feel is the right thing. According to the NY Times the average commuter’s one-way trip in the US was not quite a half hour. 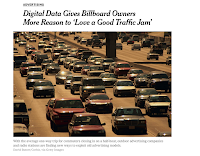 While some people are indeed illegally looking at their phones, most are looking out the windshield and can help but see the billboards in front of them. We used billboards and posters on trolleys in Bosnia during my tour there in 1997 -1998 and there are some other good spots up for grabs around the world. 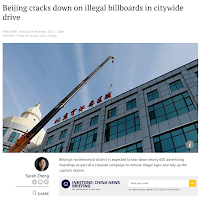 Different locations have different perspectives on billboards. 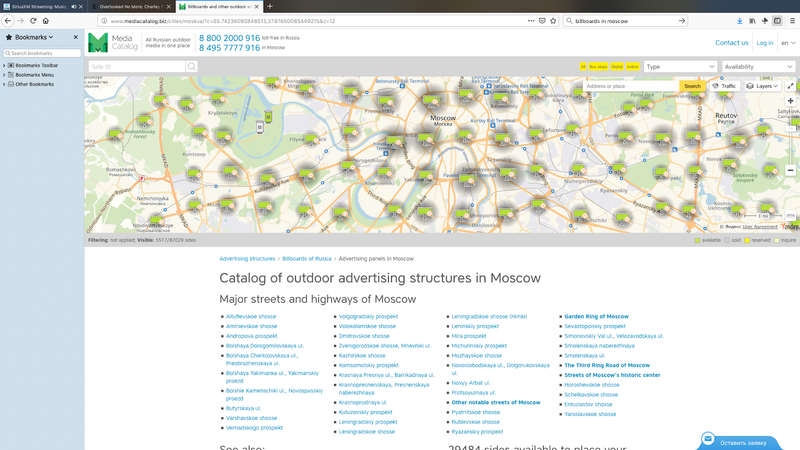 If you’re interested in buying a good spot in Moscow, check out: http://bit.ly/2Grx02D (another photo source). Muscovites also spend quite a bit of time in their cars, perhaps a little turnabout would be fair play. Of course, I’m sure that Mr. Putin, being a former spy has a seasoned network of media watchers on the lookout for anomalies in media messaging that deviate from the party line. And the award for best use of billboards for PSYOP goes to Israel for pictures of Israeli soldiers on a billboard in Tehran, Iran commemorating a war memorial. 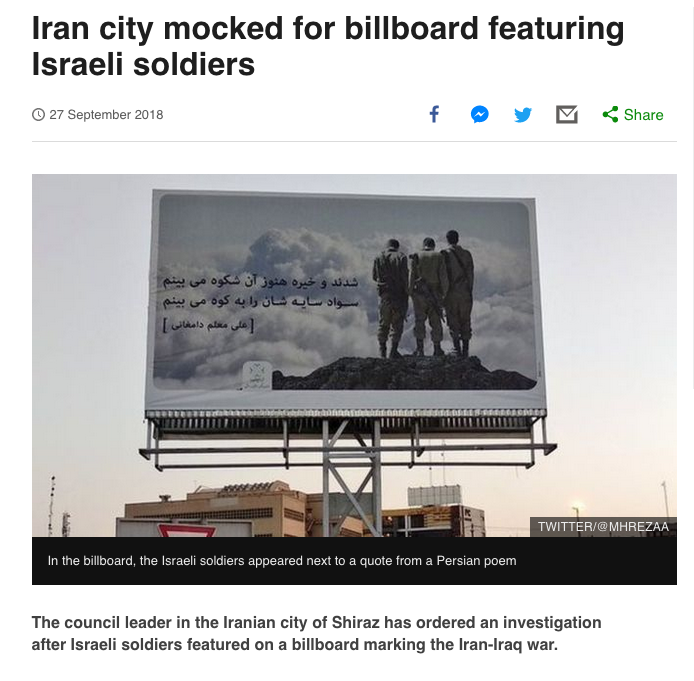 (see: https://www.bbc.com/news/world-middle-east-45665280, another picture source). How they got there no one (except perhaps the Mosad) seems to know. 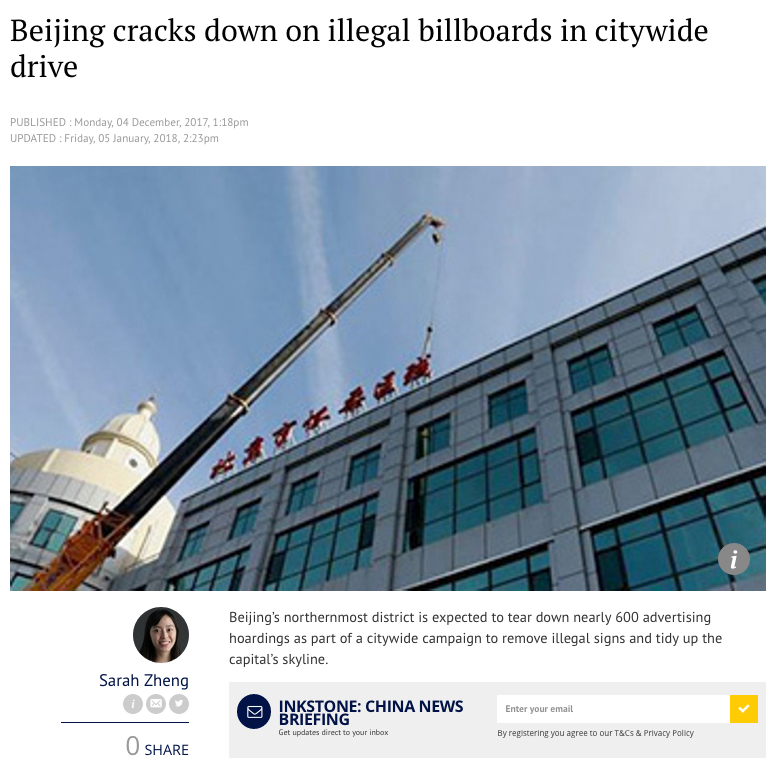 Billboards can also be an effective medium because they are visible. Imagery can potentially convey what words cannot as demonstrated by the Israeli soldiers who were identified because of their US made M16 rifles. Target populations with low literacy rates in densely populated cities can also be reached via this medium. Consider this week’s posting a break from your typical digital overload. At the moment, I’m planning on this being the last posting of 2018 as I will be deploying as a Public Affairs Manager to support the Red Cross recovery efforts in conjunction with the Camp Fire in Northern California. May 2019 be the very best of years for you and yours.